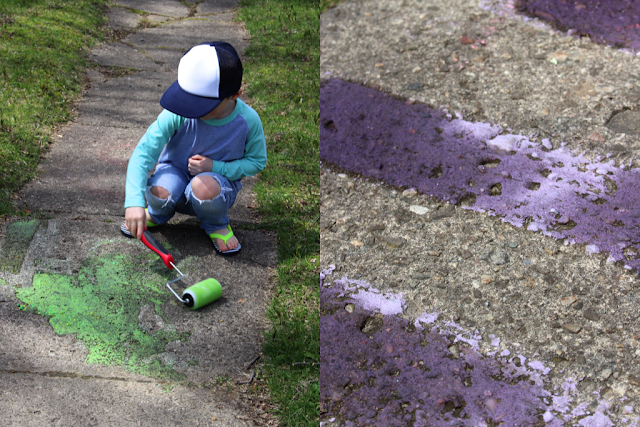 I bought the kids an outside chalk paint set, but the roller fell apart within minutes and the paint that it came with was used up just as fast. It was a one use kind of thing. Lesson learned, let's make our own! 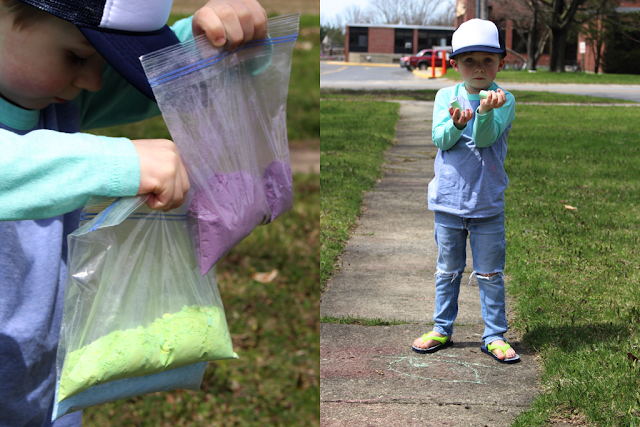 Process: Put chalk into a plastic bag. 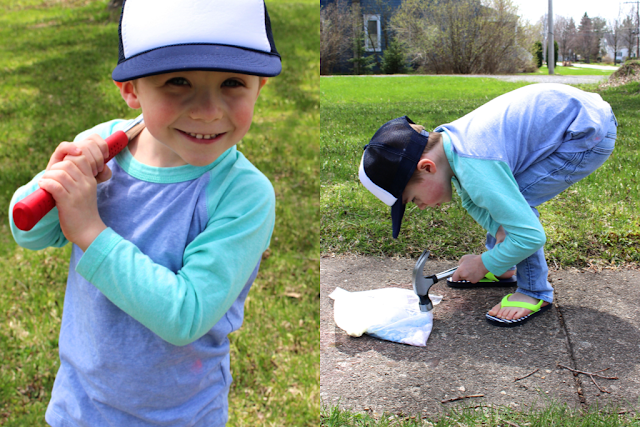 Hammer the chalk gently until broken up (you could also use a blender, but I thought it would be more fun to let Parker hammer something). 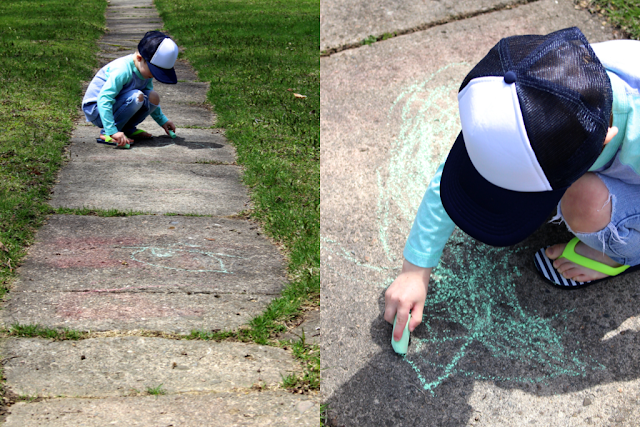 Once the chalk has turned to dust, add water and stir until dissolved. 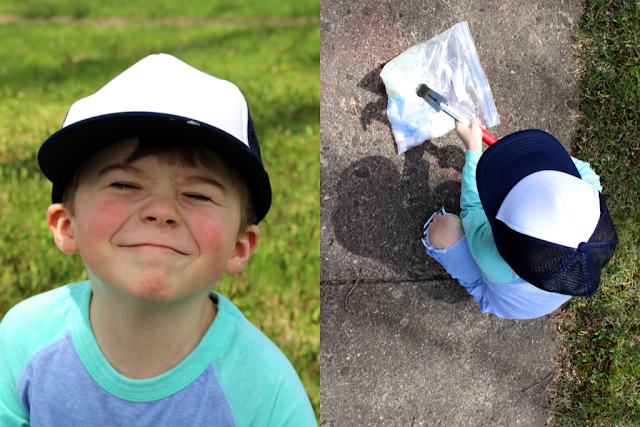 Then, paint away! Time: This takes no time at all. 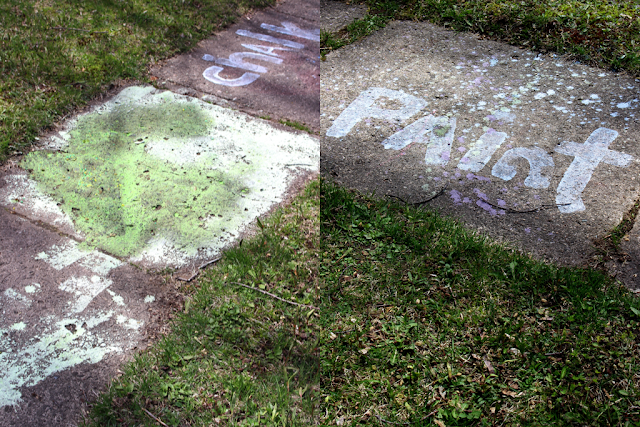 Let's say five minutes + an hour of chalk painting fun.